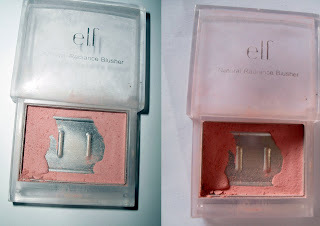 I have been a bit slack with my blogging lately, so I decided to do a post on my favorite blushes of the moment. Some of these will probably be mentioned in my Favorite Products ATM Video when I film it. I LOVE this blush SO much. It is honestly the most perfect baby pink on my skin tone. 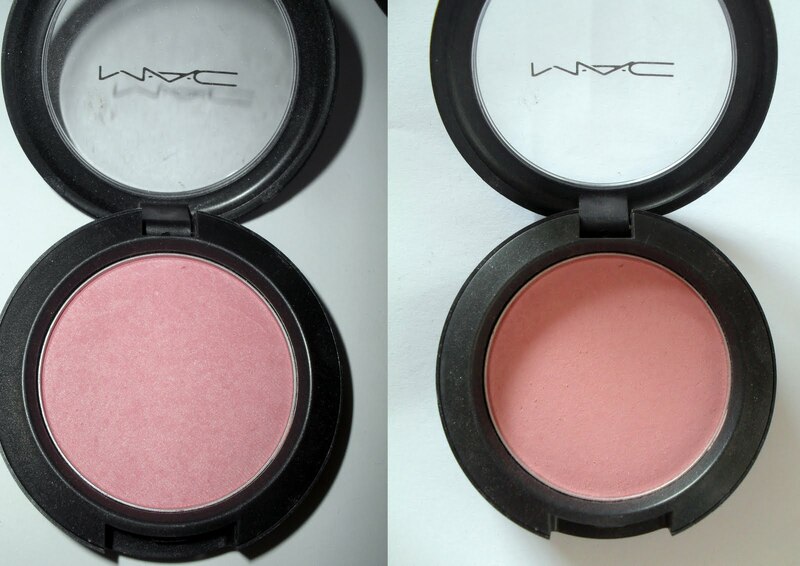 It brightens up my face and looks natural, unless I build it up; then it turns in to a brighter pale pink. This has tiny silver looking shimmers in it, but I don't notice them on my face. The texture is amazing, as with most MAC blushes, and blends like woah. I love this one a lot. This is my go-to blush most days and compliments a smokey eye perfectly, and can be worn sheer with a bright eye look also. This was my first MAC blush and I still love it. Its a medium toned pinky coral and it looks amazing on, especially for Winter and Autumn. I use this on my pale skin, and I have seen people with dark skin use it too :) Its very versatile and can again be built up or put on sheer. It looks super nice with Neutral eye looks. 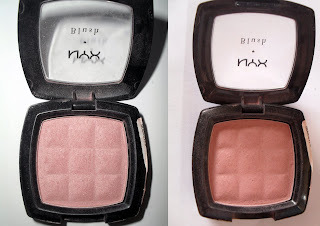 This blush is super affordable and GORGEOUS! It is a kind of powdery texture, but very soft also. 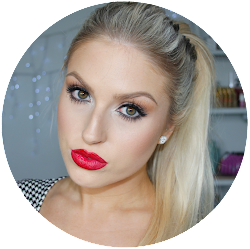 It is similar to MAC Well Dressed but almost a little bit lighter and more soft looking. You can purchase this from CherryCulture if you are from New Zealand. It is AH-MAZING. I truly love this one, it can't get enough love. Again, looks amazing with any eye look since its so soft and feminine. This is my favorite cream blush I own. I got it from Cherry Culture, and it is super affordable and amazing. 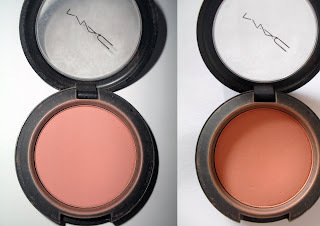 These blushes feel, blend, apply exactly like the MAC creme blushes. This color is another pale pink and looks amazing on. As you can see, mine is super melted; shows how creamy they really are! I use this with the stippling brush I got in my Sigma Premium Travel Kit. This color has no shimmer but leaves a dewy sheen, and could be used as a highlighter on med-dark skin tones. This is one of the $1 line blushes by ELF. It is amazing! Not completely though, it is powdery, not completely pigmented, BUT the color is SPECTACULAR. It is probably my favorite color blush. Something about it just goes on my skin like... Idk. It looks awesome. Only problem is the formula. It lasts a while, but not all day. I wish MAC copied this color exactly so I could have a better quality version LOL. I need a new one of these as you can tell. Not much product and I use heaps at one time. But I still love it <3 Its kind of like MACs Well Dressed but more baby pink and less blue toned. Well, thats it. Any other suggestions for a 'favorite product' post? 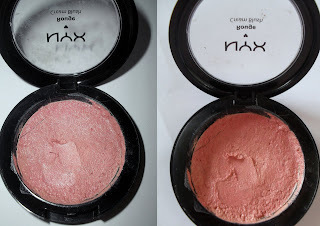 The NYX Creme blushes are amazing! i just bought melba today!! it looks so pretty!